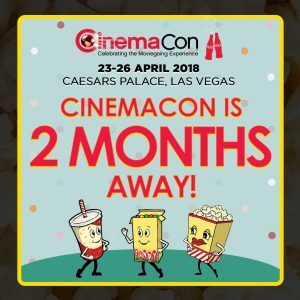 Martek | CinemaCon is only 2 months away! Representing the company this year will be Martek’s Managing Director Derek Galloway, Marketing Director Kirsty Carnell and Operations Director David Mansfield. If you would like to arrange a meeting surrounding the show, or require guest badges please contact Kirsty by emailing marketing@martek.co.uk or calling +44 (0)1689 808 600. And don’t forget to download the CinemaCon app. We hope to see you there!